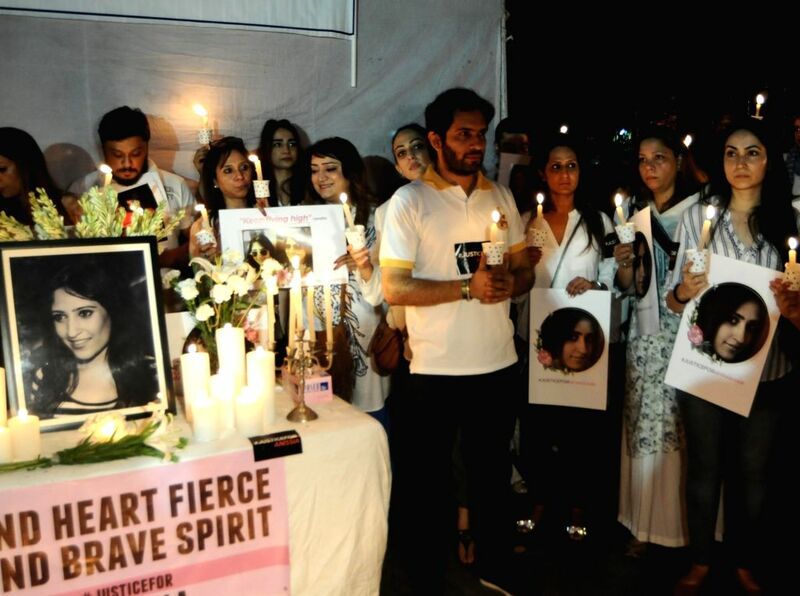 New Delhi: Friends and relatives of 39-year-old air hostess Anissia Batra, who allegedly committed suicide last month participate in a candle light march to demand justice for her, at Parliament Street in New Delhi on Aug 5, 2018. Batra's family has alleged that it was a case of murder even as the police registered a suicide case on July 15. The victim fell off the terrace of her home in Panchsheel Park in Hauz Khas area on July 13.